Half a million babies are born prematurely in the United States every year. 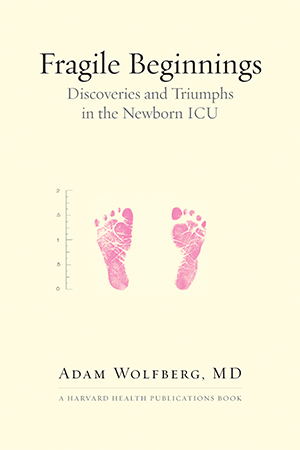 In this gripping medical narrative, Dr. Adam Wolfberg brings readers into the complex world of newborn intensive care, where brilliant but imperfect doctors do all they can to coax life into their tiny, injured patients. As a specialist in high-risk obstetrics, a reporter, and the father of a child born prematurely, Wolfberg explores the profound scientific, ethical, and emotional questions raised by such fragile beginnings, from the front lines of the NICU and cutting-edge laboratories, and from his own daughter’s bedside. "A page-turner for any parent of a premature infant."